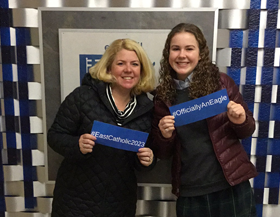 Congratulations on your acceptance to East Catholic! 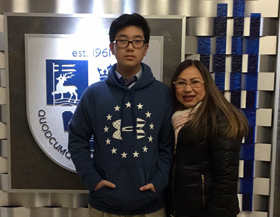 We look forward to seeing you in the upcoming months for our freshman social and family orientation night. 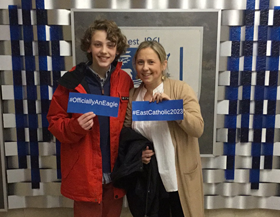 All accepted students for the class of 2023 will be welcomed during our freshman social on Friday, April 5 from 7:00 to 9:00 p.m. Students will have the opportunity to meet their future classmates and enjoy music, games, open gym, and ice cream. A formal invitation will follow. 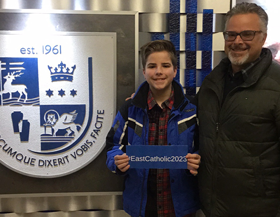 On Tuesday, May 7 from 6:30 to 8:00 p.m we welcome both students and their families for their first official orientation to East Catholic. This night is designed to acquaint both the student and family further with our mission, programs, and procedures. 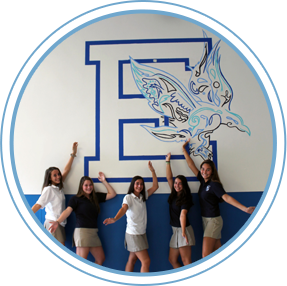 Specifically, the program includes a talk from our head of school and a question-and-answer session with the directors. A concurrent student activity will be run during this time as well. It is highly advised for all families to attend.